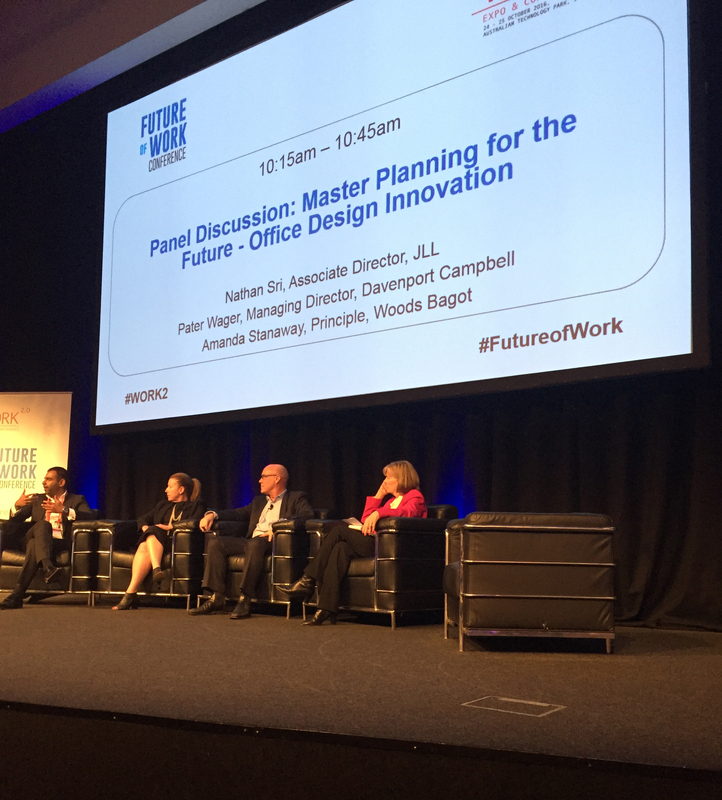 Davenport Campbell’s Co-Principal Peter Wager was a guest panelist for Workplace of the Future at Work2.0 Expo and Conference at the end of last month at Australian Technology Park Precinct in Eveleigh. Work2.0 combines four leading conferences and a trade show that examines how to enable people to thrive in their workplace. The four different categories; Future of Work, Wellness at Work, Learning at Work and HR Tech all explore ideas and solutions to boost productivity, collaboration, wellness, flexibility, motivation, creativity, innovation and entrepreneurship. The Future of Work conference is dedicated to changing the nature of work and transforming the workplace with technology. Peter was on the panel that discussed Master Planning for the Future: Office Design Innovation, where he introduced Davenport Campbell’s Human Design Thinking approach. We welcome you to read our story and join our quest to change the world though Human Design Thinking.